The Arizona Republican also weighed in on a new book by former Defense Secretary Robert Gates, saying he would have waited a bit longer to release the book, which offers a blistering critique of the Obama administration. On Iraq, McCain said the country is not a lost cause and argued the United States can still offer assistance to help quell the renewed violence that’s rocked the country in the last year. The 2008 GOP presidential nominee said he opposed sending combat troops back to Iraq, but added the U.S. can provide other kinds of aid, such as logistics support and Apache helicopters. 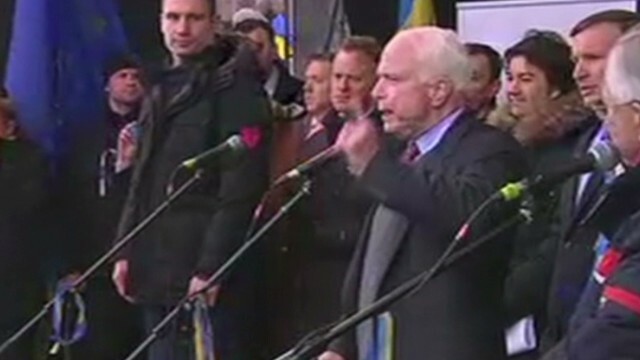 Sen. John McCain joined CNN's "State of the Union" from Kiev, Ukraine, on Sunday after the Arizona Republican addressed thousands of protesters who are angry over the Ukrainian government's decision to backpedal away from an agreement with the European Union. 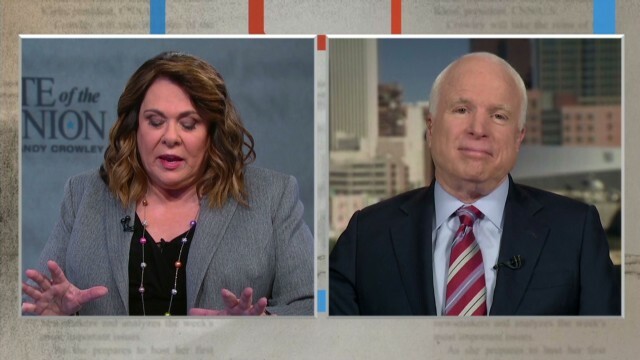 McCain spoke about a range of issues happening around the globe, and suggested the Central Intelligence Agency was not truthful to Congress about former FBI agent Bob Levinson, who went missing in Iran seven years ago. Here are five noteworthy points from the interview. 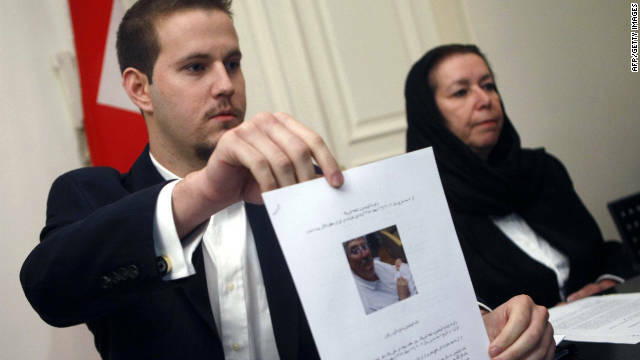 Daniel Levinson (L) shows a picture of his father, ex-FBI agent Robert Levinson, holding his grandson Ryan during a press conference with his mother Christine at the Swiss embassy in Tehran, 22 December 2007. A former FBI agent who went missing in Iran was working for the CIA there, not conducting private business as officials have previously claimed, The Associated Press and the Washington Post reported on Thursday. Both the State Department and Bob Levinson's family have long denied he was working for the U.S. government when he disappeared on a trip to Iran in 2007. But Thursday's reports from the Washington Post and the AP claim that Levinson had been on a CIA mission to dig up information. A source who's involved in the matter told CNN that there's proof that Levinson worked for the CIA undercover and under contract while also working as a private investigator. A Pakistani political party official has publicly named two U.S. CIA officials in connection with a police murder investigation into a drone strike. Police had already initiated an investigation against unnamed persons after a recent drone strike that killed five. In a televised news conference Wednesday, Shireen Mazari, information secretary for the Tehreek-e-Insaf (PTI) party said she filed an addendum to the police complaint, singling out two U.S. officials. She gave the names of U.S. CIA Director John Brennan and a person identified as the CIA's Station Chief based in Pakistan. U.S. officials did not confirm to CNN the accuracy of her claims. "I can't speak to the alleged operational issues, but more broadly I note we have a strong ongoing dialogue with Pakistan regarding all aspects of our bilateral relationship and shared interests," a U.S. Embassy official in Pakistan told CNN. 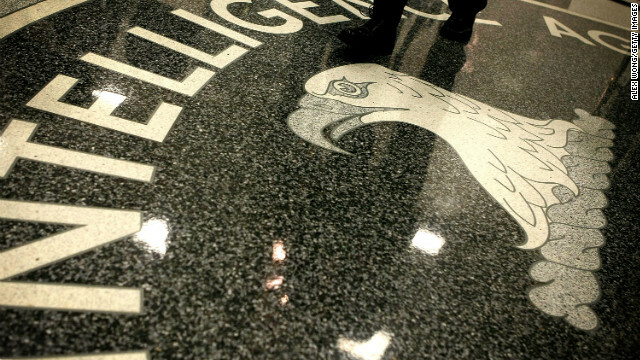 The CIA is collecting bulk records on international money transfers, using the same Patriot Act legal authority that has become the center of controversy in U.S. surveillance programs, a source told CNN. A person familiar with the program said the agency's efforts are an outgrowth of terror finance-tracking programs that were established in the wake of the September 11, 2001, terror attacks and revealed that al Qaeda funded the hijackers using methods such as smuggled cash, money transfers, and credit and debit cards. The Treasury Department and the National Security Agency have other programs that similarly focus on financial transaction data. The CIA program provides some redundancies intended to catch transactions that may not draw attention in other programs. The Wall Street Journal and The New York Times first reported the existence of the CIA program Thursday night, saying it has sparked concerns from lawmakers. European leaders warned Friday that reports of widespread spying on world leaders by the U.S. National Security Agency have raised "deep concerns" among Europeans and could affect the cooperation needed for effective intelligence gathering. "A lack of trust could prejudice the necessary cooperation in the field," the leaders said in a joint statement issued at the conclusion of a two-day European Union summit in Brussels, Belgium. Spanish Prime Minister Mariano Rajoy announced that Madrid has summoned U.S. Ambassador James Costos over the matter. The U.S. Embassy in Madrid declined to comment, saying that Rajoy's statement stands for itself. The Office of the Director of National Intelligence (ODNI) will begin calling more of its furloughed employees back into the office this week despite the ongoing partial government shutdown. 70% of the intelligence community has been furloughed as a result of the shutdown, leaving the leaders of all intelligence agencies scrambling to carry out their core missions. Director of National Intelligence James Clapper issued a statement Wednesday telling employees he had "authorized the recall of some employees who perform functions that directly support efforts to protect against imminent threats to life or property, and help provide the President with the intelligence he needs to carry out his core constitutional functions related to national security." Typically, the president receives a daily intelligence briefing in the morning hours. The CIA made a similar announcement earlier in the week, with CIA Director John Brennan saying in a letter to employees that "keeping our staffing at the dramatically reduced levels of the past week would pose a threat to the safety of human life and the protection of property." 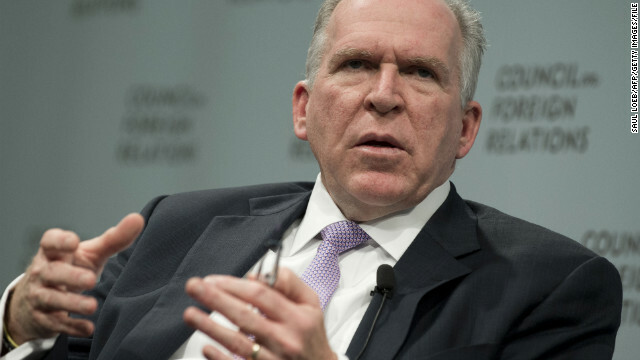 Like Clapper, Brennan also cited the need to provide intelligence information to the president as a reason why more employees would be returning to work. One U.S. intelligence official told CNN that managers at all agencies are currently "in the process of determining exactly who will be recalled under revised staffing plans" and said the process of determining who can be brought back into work "will continue over the coming days." Clapper testified before the Senate Judiciary Committee last week, warning Congress the damage from the shutdown would be "insidious" on the intelligence community. "Each day that goes by, the jeopardy increases. This is a dreamland for foreign intelligence services to recruit," he said. Since the shutdown first took effect, various U.S. intelligence services have retained the right to call back essential staff in cases where it affected national security. This allowed for management to call in specific experts if, for example, there were reports of terrorist chatter that were particularly concerning. But as the shutdown drags on with no clear ending in sight, leaders in multiple intelligence agencies are being forced to revise their plans and are recalling a wider circle of employees. One intelligence official summed up the current situation, saying, "In the beginning of the shutdown, only those CIA employees working imminent threats were on the job. But it's been determined that the CIA not performing its core missions for an extended period of time itself presents the risk that real threats to our national security will go undetected." CIA-funded weapons have begun flowing to Syrian rebels, a U.S. official told CNN late Wednesday night. The official confirmed details first reported by the Washington Post but would not speak publicly. "That is something we are not going to dispute, but we are not going to publicly speak to it," the official said. The weapons are not American-made, but are funded and organized by the CIA. They started to reach rebels about two weeks ago, the official said. The artillery provided were described as light weapons, some anti-tank weapons and ammunition. The supply is in addition to the non-lethal aid that the United States has been providing the rebels since April, when the Obama administration first altered the nature of the aid to include items such as body armor, night vision goggles and other military equipment. Sixty years after the overthrow of Iranian Prime Minister Mohammad Mossadegh, a declassified CIA document acknowledges that the agency was involved in the 1953 coup. CNN has uncovered exclusive new information about what is allegedly happening at the CIA, in the wake of the deadly Benghazi terror attack. Four Americans, including Ambassador Christopher Stevens, were killed in the assault by armed militants last September 11 in eastern Libya. 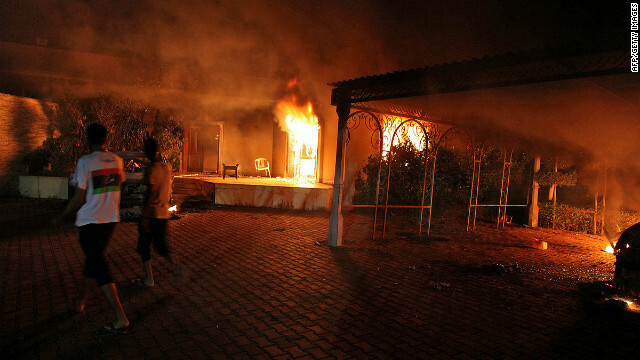 CNN has learned the CIA is involved in what one source calls an unprecedented attempt to keep the spy agency's Benghazi secrets from ever leaking out.